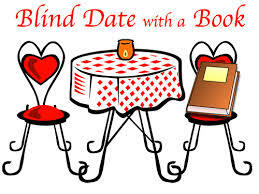 This year those of you who like downloadable books and audios can still take part in the Blind Date with a Book in February. Below you will read a description of the book. If it looks interesting, just click the link and you will be sent to Overdrive. Unlike the wrapped Blind Date, you will get to see the cover of the book before you download. The numbers do not correspond to the Blind Date display, but the descriptions do. Place: Earth. Time: Now. Over the last half-billion years, there have been five mass extinctions, when the diversity of life on earth suddenly and dramatically contracted. What — or who — will be the cause of the sixth? Ebook and Audio. Place: England. Time: Well that is the question. If you could do it over, and over, and over, and over, what would you do differently? Ebook and Audio.